Why Are Guava Leaves So Beneficial For Your Hair? The guava plant is considered as a ‘power plant’ as not only its fruits come with lots of dietary benefits, but its leaves are also quite beneficial for the overall health of our hair. However, before we proceed with the hair benefits of fresh and tender guava leaves, let’s have a look at what guava can do for our hair as a fruit. The ‘superfood’ guava is a tropical fruit that is known for its great flavor, delicious taste, and amazing healing qualities. Fresh ripe guava is high in a wide range of nutrients including vitamins (A, B, C), minerals (potassium, magnesium, calcium, phosphorous, iron), dietary fibres, lycopene, etc., which makes our skin and hair healthy from inside. To be more precise, guava is a rich source of vitamin B, which strengthens our hair and prevents it from falling. Hence, when we eat guava regularly, our hair fibres get enough vitamin B for the maximum boost and grow healthy. According to experts, guava leaves are far more beneficial for our hair than the fruit itself. Fresh and delicate leaves of the plant are a remarkably rich source of vitamins and minerals that are essential for maintaining the optimal health and growth of our hair. The best thing about guava leaves is that they contain vitamin B (especially B2, B3, B5, and B6) in very high amount, which is crucial for our hair cells. Therefore, when you include these leaves in your daily or weekly hair care regimen, you ensure that your hair fibers get all these nutrients adequately, thereby promoting the overall health and growth of your mane. 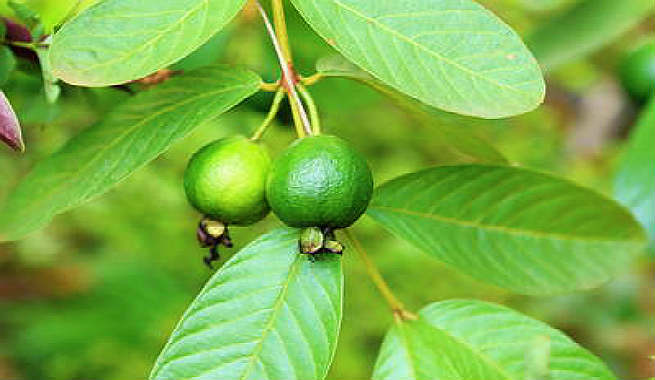 Being a natural ingredient, guava leaves can take care of our scalp and hair without taking a toll on them. They do not contain harmful substances like other commercial hair loss products or treatments, which eventually lead to even more hair fall or other adverse side effects. You can use this remedy safely and securely as it is all about the goodness of nature. In fact, this is why a number of herbal hair care brands are using guava leaves in their products these days. Needless to say, guava leaves are cheaper than any other hair loss remedies, products, or treatments you can ever opt for. It is available almost anywhere and everywhere and the process of usage is quite easy too. How To Use Guava Leaves For Hair? Take a handful of fresh, tender guava leaves. Clean and wash them properly under running water. Take 1 liter of pure water in a large container and place it on the oven. Let the water come to a boil. Once it starts boiling, put the clean guava leaves in it and let the boiling continue for 15-20 more minutes. Then, remove the container from the heat and let the mixture cool down. As soon as the infusion reaches the room temperature, strain it into a bottle and discard the leaves. Now, take it in small quantities and apply all over your scalp focusing on the hair roots. Also, apply all the way down to the tips of your hair strands gradually. 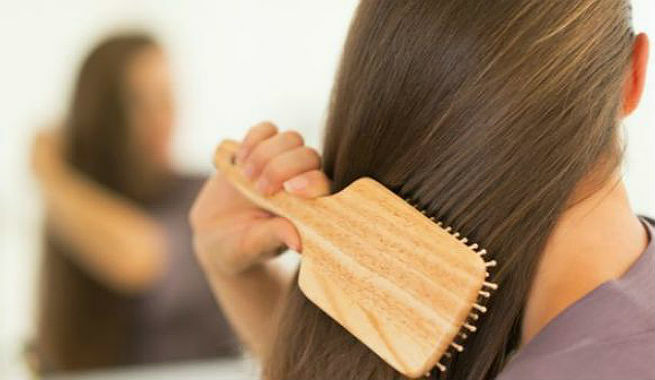 Massage the infusion into your scalp gently by moving the pads of your fingers in a small circular motion. Continue the massage for 5-10 minutes and leave it overnight. 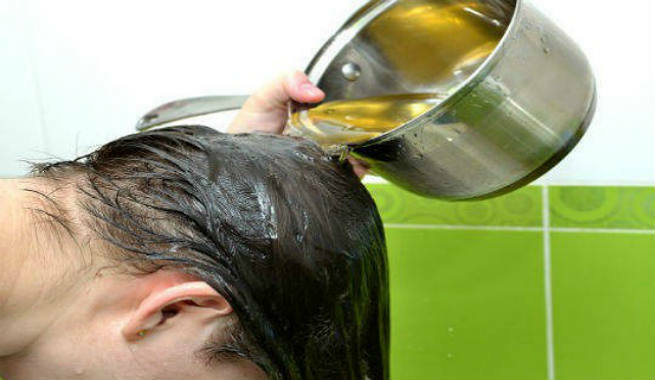 Wash your hair with plain cold water in the next morning. Use the infusion of guava leaves on your hair every day or at least thrice every week in order to avert them from falling out.